A BIG thank you for your kind comments about our feature in the February issue of Martha Stewart Living! As always, your enthusiasm inspires me. I started this blog to promote the shop, but now it has become much more. It's a forum for conversation with friends across the world. My posts about decor, garden and travel are not unlike entries in a diary that are shared with readers who have the same passions. As my blog turns five (in February), I'd like to say many thanks for reading! To keep things exciting, I do have this major announcement: Tom and I have sold our DC home - YES! For almost a year, the decision to sell was deliberated. I wrote about it here and here. When we purchased, renovated, and expanded our home, we never thought we'd have a second place. Then came Castine, Maine. After spending more time there, it no longer made sense for us to keep this large house with such an extensive garden; especially since we couldn't personally care for it at the height of the season. Let's back up a bit. Our plan was only to put the house on the market when another spoke to us. And we weren't actively looking. 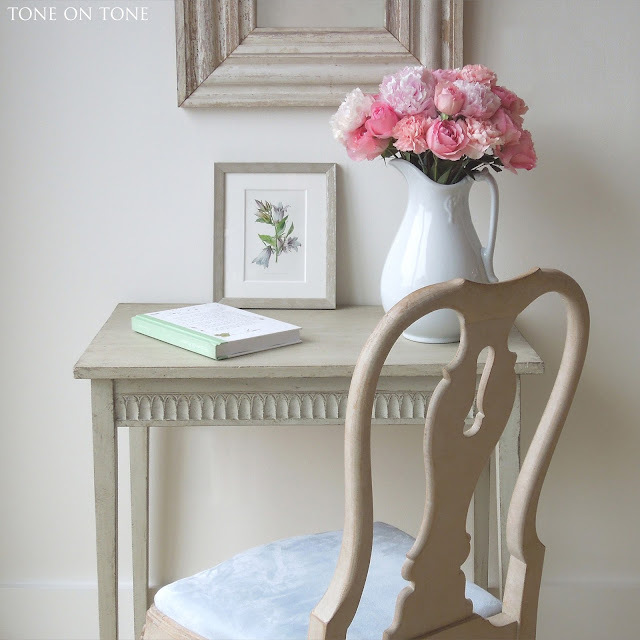 Then on a slow August day at Tone on Tone, a client visited and mentioned wanting to move into the city, but having no luck finding the right move-in-ready or fixer-upper property. I suggested she come over to see our place with her husband. "Maybe you'll want to buy it or, at least, get renovation ideas," I continued. After drinks :) plus additional visits in the fall, we all shook hands on a private sales agreement. So that's how our house was sold; it just happened organically. The new owners are lovely. Their sophisticated collection of French antiques really shines throughout the house, particularly with all the European elements we incorporated during the renovation - French doors with cremone bolts, Belgian lighting, Italian limestone, etc. Tom and I have moved to a 700 sq ft apartment while we house hunt. Now I have a favor to ask. If you know of a charming house coming on the market, please let me know asap. 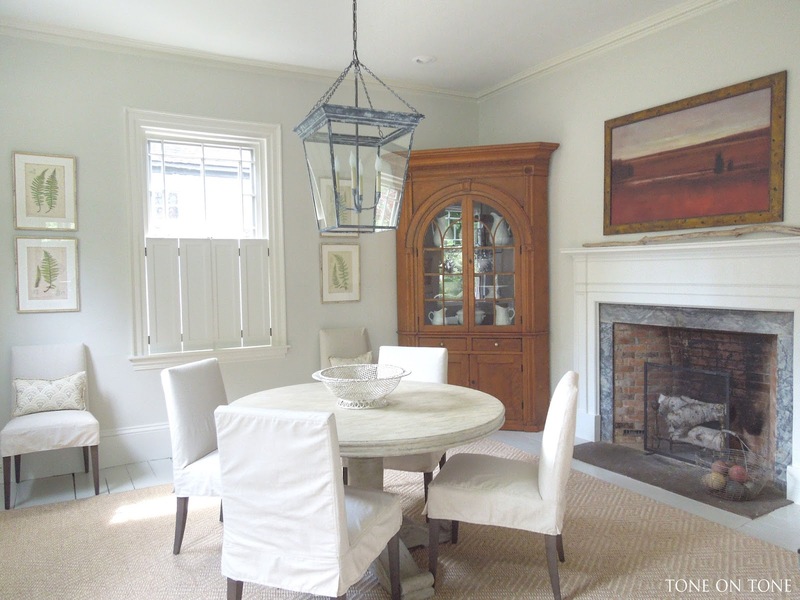 An older, unrenovated small Cape or Tudor with a first floor den or bedroom would be perfect. Nothing vertical, please. Panda and Mocha, our Tibetan Terriers, would like a small yard :) We're interested in Northwest DC, Bethesda, Chevy Chase, Kensington, Silver Spring, and Arlington. Please help! Until next time, enjoy these photos. Some were taken right before we moved out. 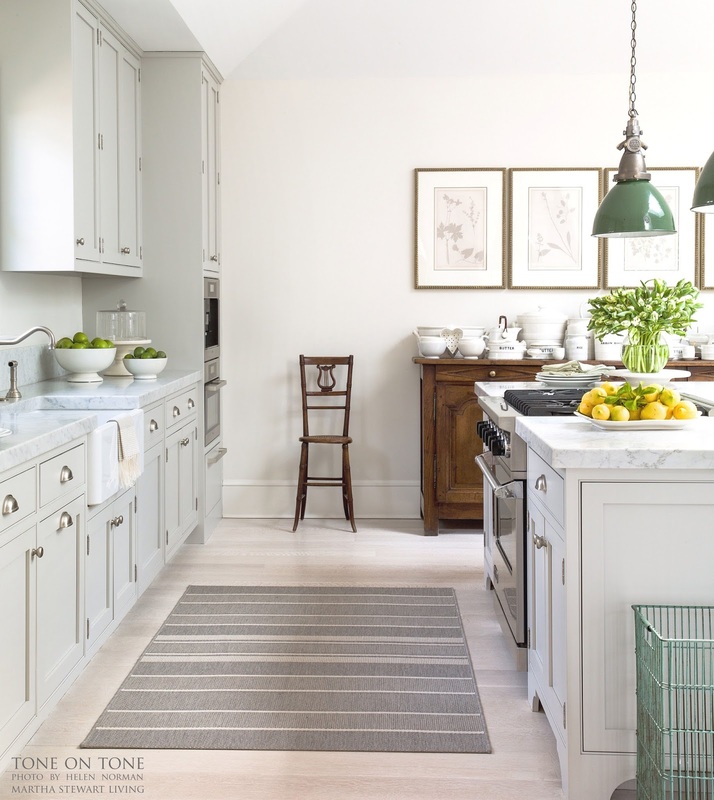 Others are from Photographer Helen Norman that didn't make it into the Martha article - so beautiful I have to share. PS - Next post I'll share more "on the move" news....up in Maine. 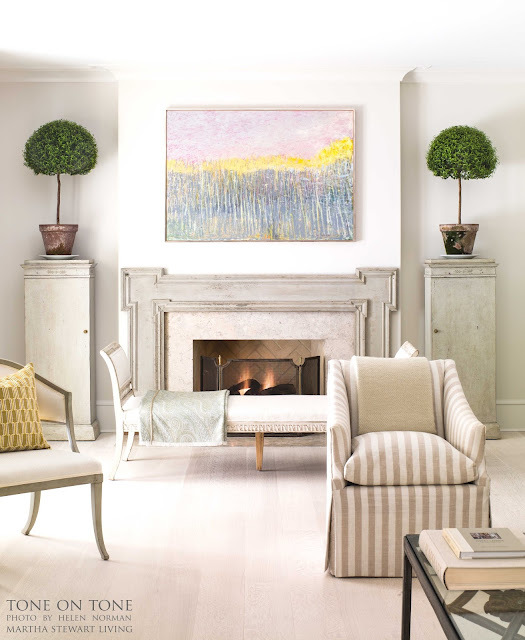 This view of the double-length living room leads to the curved staircase. 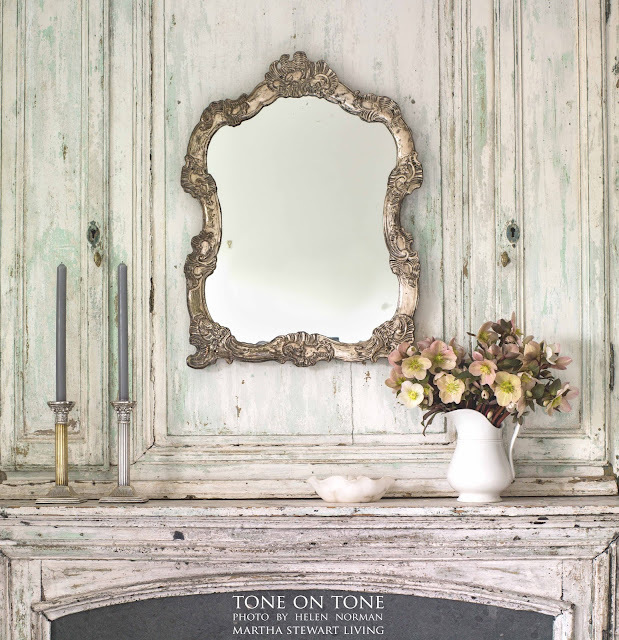 By the way, the fabulous French trumeau mirror, marble drinks tables, and ottoman (which I custom designed) are all at Tone on Tone - anyone interested? 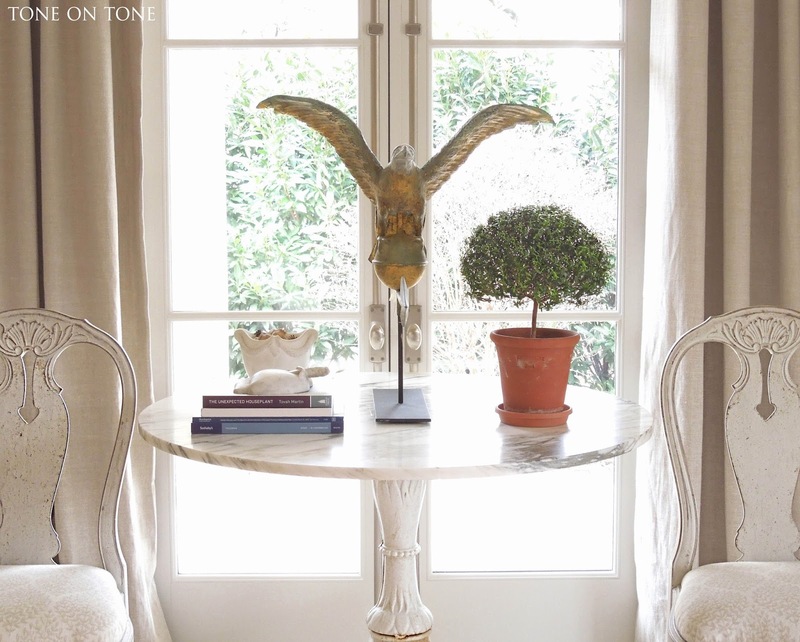 A tabletop vignette of myrtle topiary, 19th century American gilded eagle weathervane, and marble architectural items. We gifted the vintage GE factory pendants to the new owners - they just belonged in the kitchen. I purposely kept the dining room sparse because the dinner table filled with family, friends, and food should always be the focus. 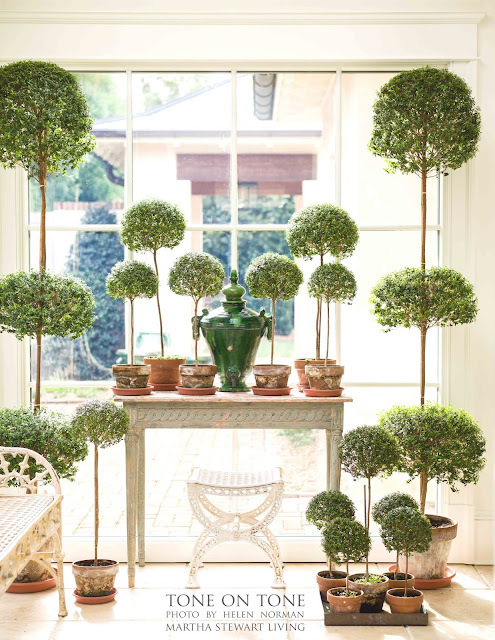 Civilized yet whimsical, my myrtle topiaries always intrigued guests. They will miss all that light. 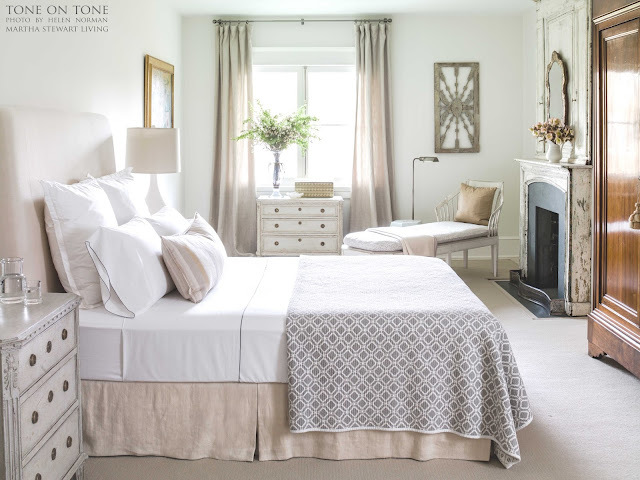 The master bedroom with an 18th century French mantel surmounted by its original trumeau panel. Again, we felt that this ensemble had to convey. Hope you've enjoyed seeing more of our "former" home. Don't forget to send over house leads. Thanks so much!! On a grocery run with my mother in the early 1990s, I picked up something to read while we were waiting in line at the checkout. That something was Martha Stewart Living, and that particular issue most likely showcased a collection of gleaming ironstone, homespun linens, or vintage finds scored at tag sales. I couldn't stop leafing through the magazine, so mom bought it. After reading it from cover to cover, the beautiful images stayed with me. I knew I had to subscribe. Soon Martha would be my teacher for all things domestic and divine. I'd reorganize my closet according to Martha. 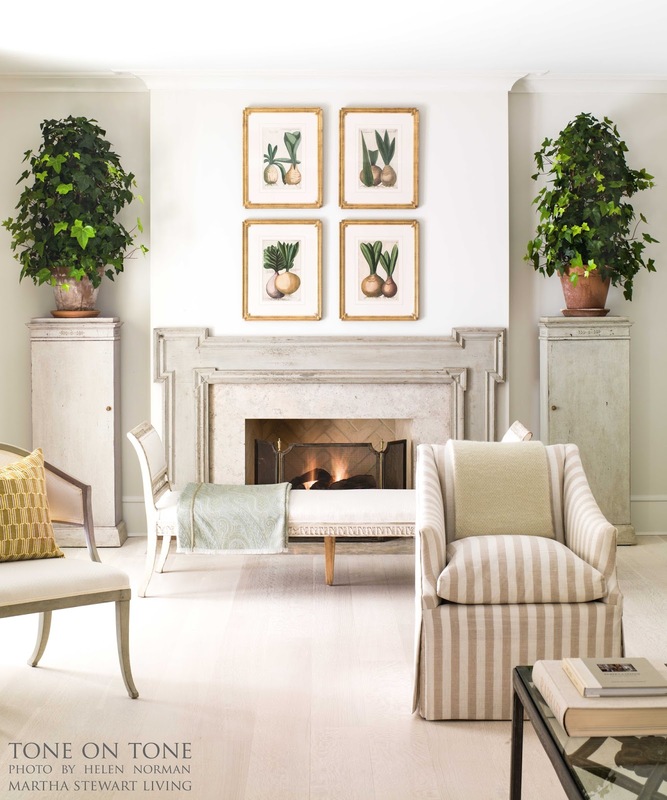 I'd track down Guy Wolff's white terracotta pots after seeing her topiaries in them. In fact, I wholeheartedly blame my myrtle topiary obsession on Martha! The magazine has always been about more than decorating. From recipes to crafts, the articles teach and inform. For nearly 25 years, MSL has inspired me to create, cultivate and collect. 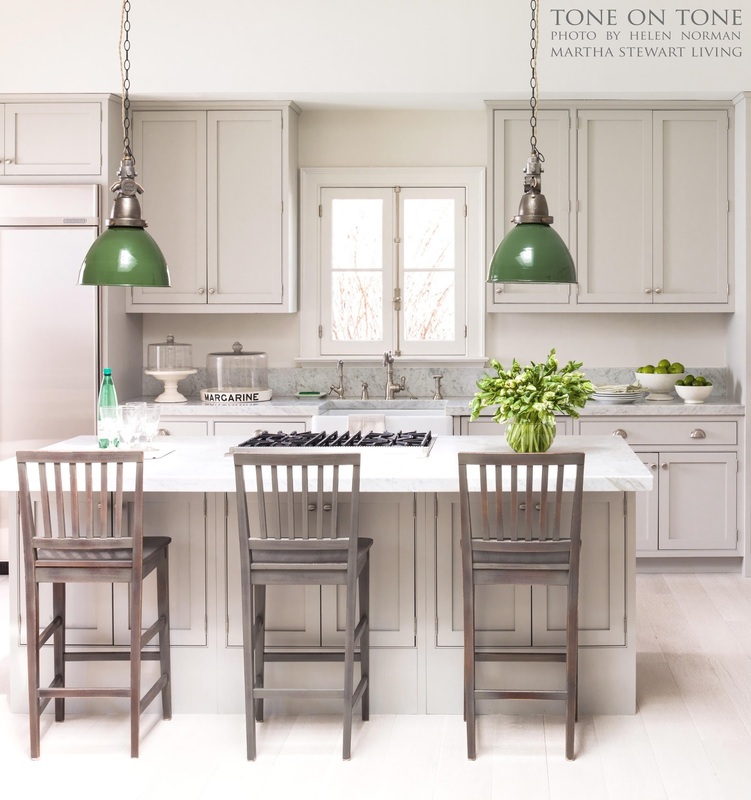 That's why I'm thrilled to announce our home is featured in the February 2016 issue of Martha Stewart Living! Of course I need to acknowledge some very special people. I'm grateful to photographer Helen Norman for introducing me to the editors at MSL. Without my good friend Helen or her brilliant photos, this would not have been possible. Speaking of editors, I am thankful to the talented Lorna Aragon, MSL Home Editor, for producing our story with such care. Lorna's effortless styling made everything so beautiful. Thanks also to Ayesha Patel, MSL Design Director, for championing our project from the start. And, many thanks to Martha Stewart Living for such an incredible honor. Here's a sneak preview. (Click on photo to enlarge.) Please pick up a copy to enjoy more photos plus the full article - on newsstands now. PS - Find me on INSTAGRAM HERE! 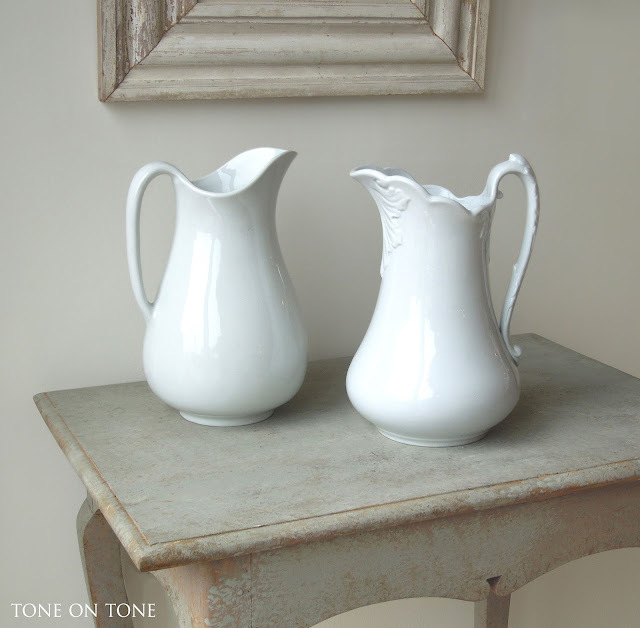 Let's start 2016 with a favorite: white ironstone. For those unfamiliar, read on. 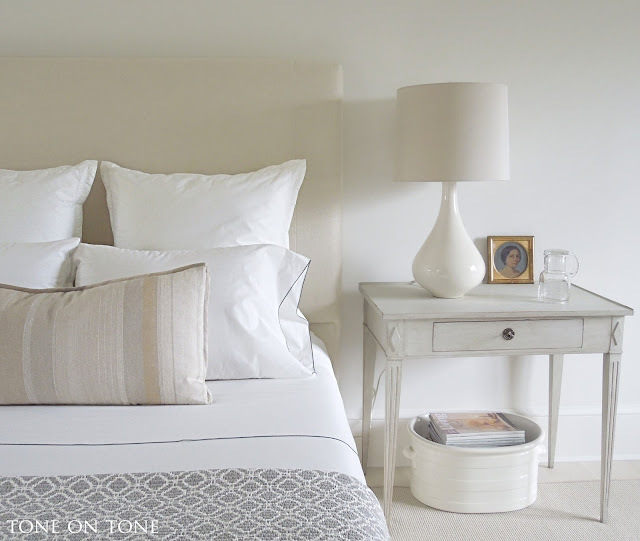 Just a warning: this white-on-white craze is highly addictive.....take it from this China boy! 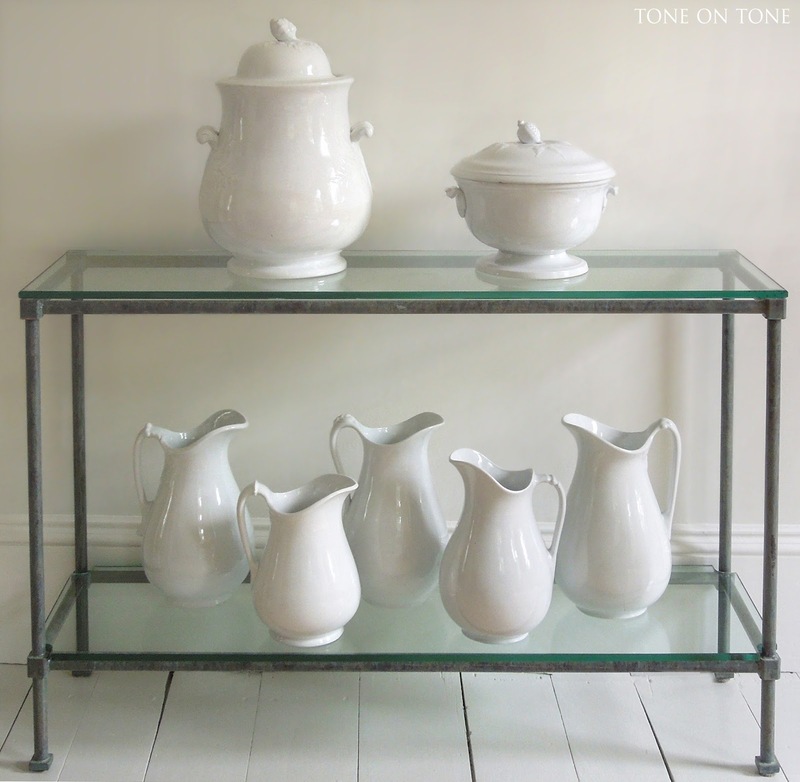 What is ironstone? It is a type of heavy pottery or earthenware with exceptional strength, hence the iron in the name. 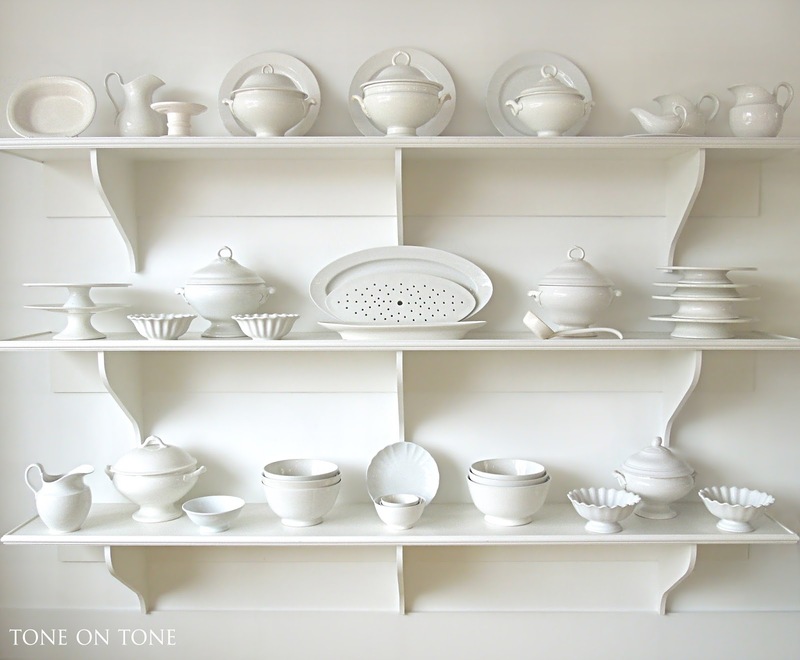 The all-white glazed form became known as white ironstone. 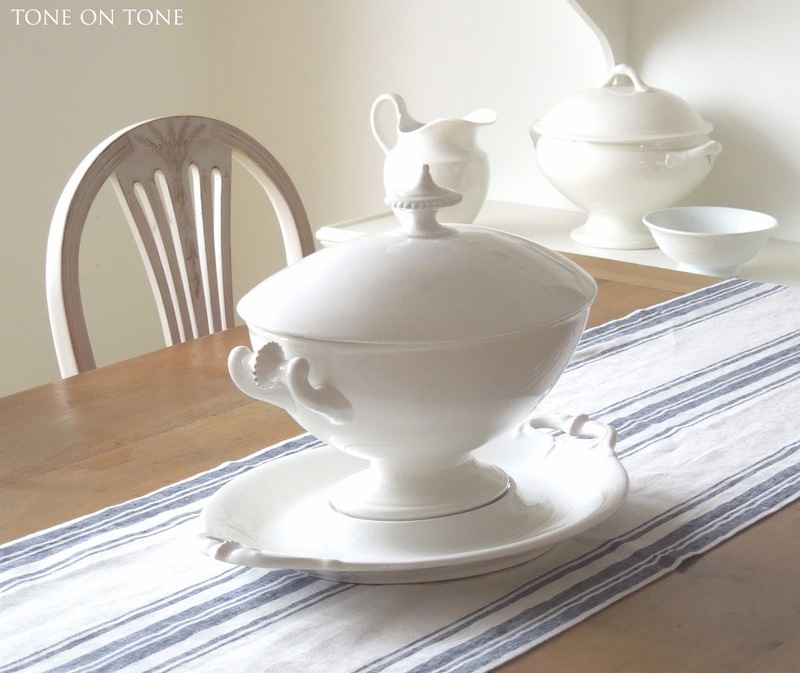 This durable china was first produced in England during the early 1800s. 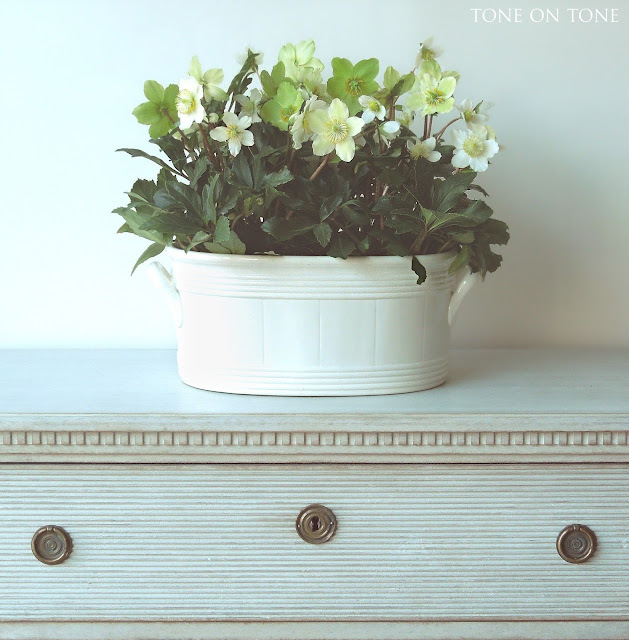 Without complex color schemes, it became easy and inexpensive to manufacture. Soon other European nations started churning out these humble dishes meant for everyday use. Think of them as the Tupperware of the 19th century. England was the top producer with much of it shipped as ballast to the Americas; they coined it "cheap china for the colonies!" Finally in the late 1800s, the Americans created their own versions. 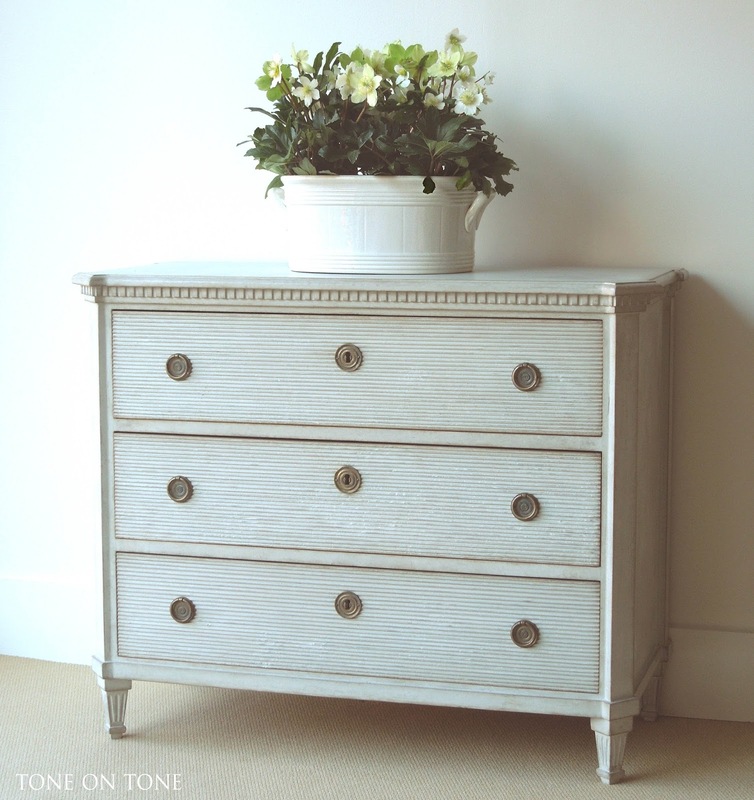 -Inspect for damages such as chips, cracks and repairs (usually at handle joints, finials, highpoints, spouts, etc.). -Learn the difference between cracks vs crazing. The latter is a glaze defect with a network of allover crackling. -Expect to pay between $15 - $1,500 for an item in good condition. -Wash with lukewarm water; avoid extreme temperature fluctuations to prevent cracks. -Never put in dishwasher or microwave. -Try not to pick up heavy pieces by the handle(s) alone; also support the base. Most importantly, use and enjoy your pieces. They are not precious finery meant to collect dust in the vitrine cabinet. Footed bowls elevate boring veggies to new heights. Cakestands are for more than cakes; cheese, hors d'oeuvres, pies and cookies presented on cakestands become irresistible. Even common carnations in pitchers look like heirloom flowers fresh from the garden. 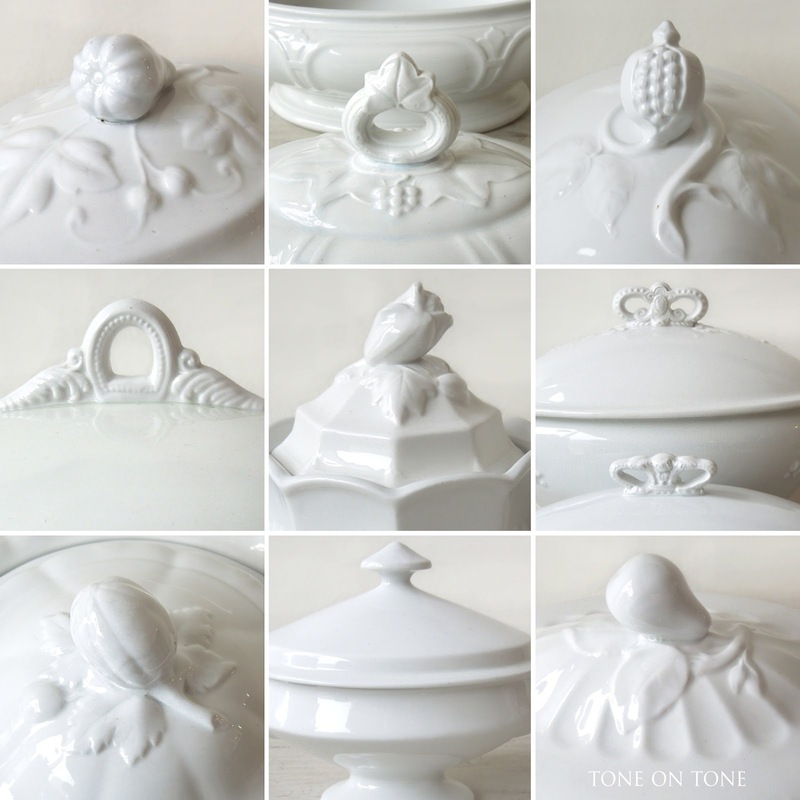 By the way, tureen bases, in addition for food, make charming vessels for floral or fruit centerpieces. 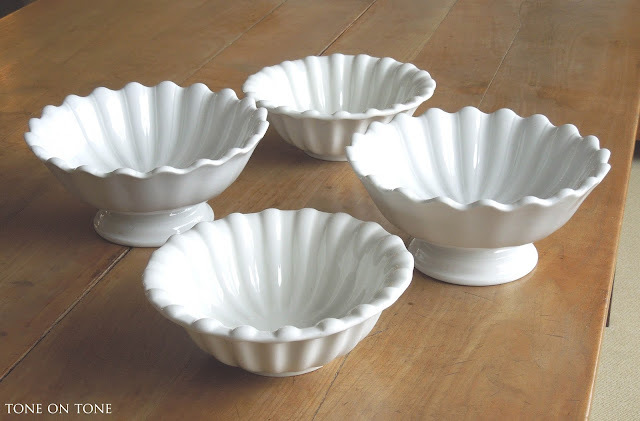 With a bit of care, these dishes that once graced early tables can be a part of daily life once again. At Tone on Tone, our collection is positively gleaming. If you are an enthusiast, don't miss out on some very special ones. Harmony in white on our great wall of china. 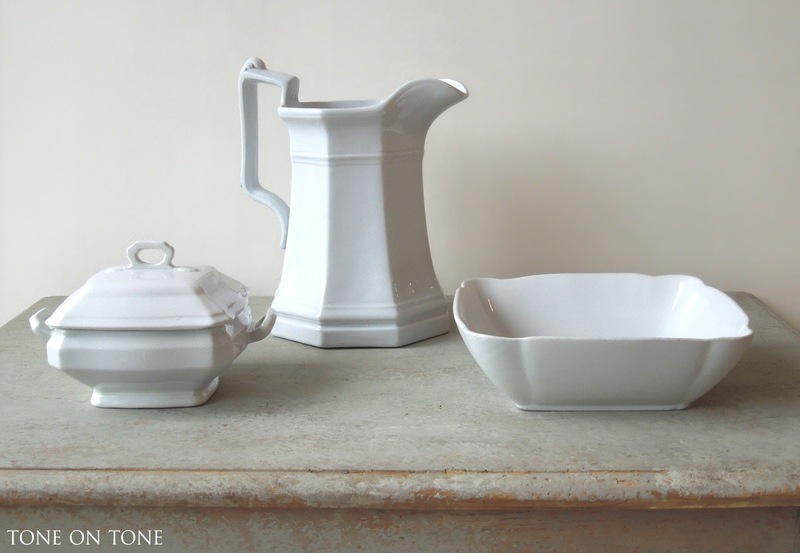 From Continental Europe and Scandinavia, these simple pieces sing as a collection. More is more, so pile it on! A large covered soup tureen with original undertray; it makes an elegant but understated centerpiece. Notice the beaded detail. 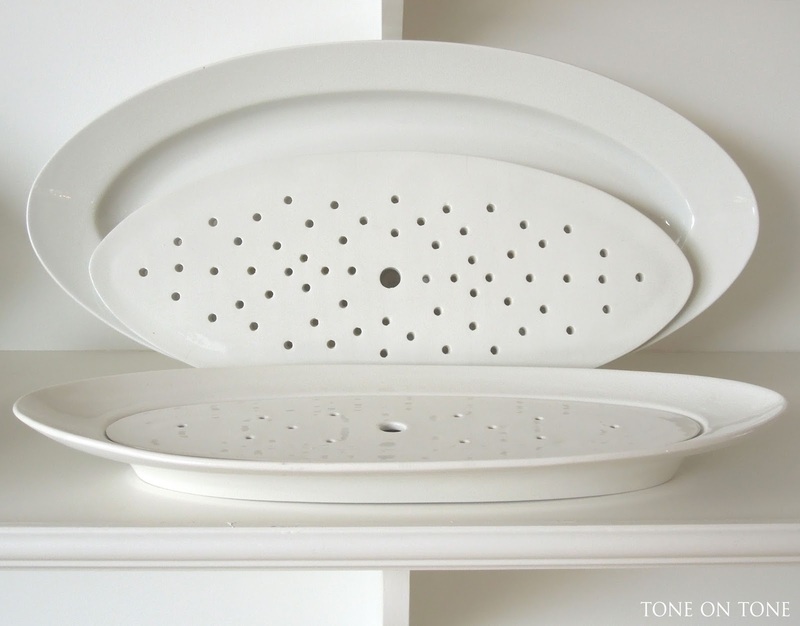 While ironstone fish platters are not scarce, try finding them with their original strainers. These two are Swedish from Rorstrand and Gustavsberg. The larger measures an impressive 24" x 12". Now for a rarity: a white ironstone cheese dome with stand in a naturalistic faux bois pattern embossed with flowers, foliage plus intertwining twigs. Though not marked, this set is definitely English made to keep Stilton. Who can resist a pair? Above are two pairs of fluted fruit bowls. The footed pair is English potted by Powell & Bishop for the American market - note the bluish tinge. The shorter pair was made in America around 1880 by Greenwood of New Jersey. 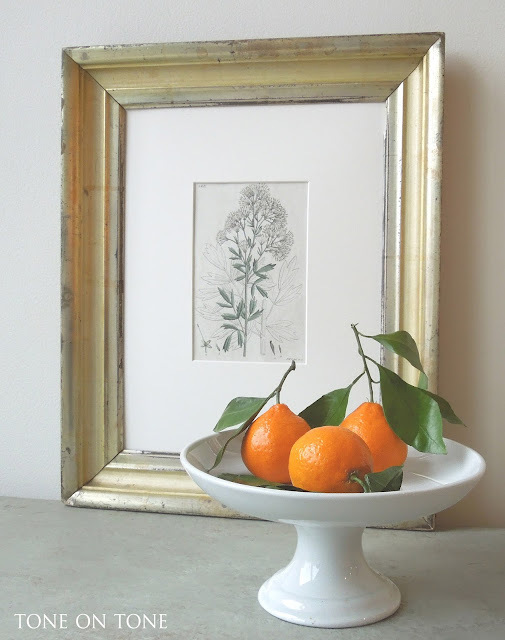 Speaking of fruit bowls, this footed compote is small, simple and sweet. More footed bowls. These three Swedish bowls with their humble spirit would be equally wonderful in a farmhouse or streamlined loft. 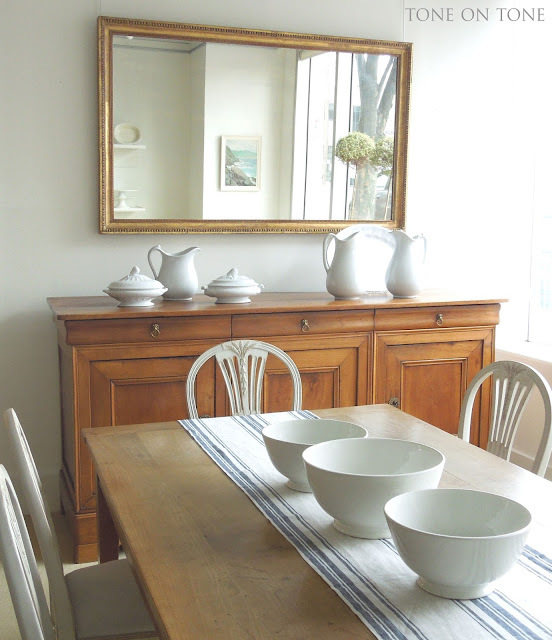 On the French fruitwood sideboard are English exports. Let's chat about this important group. As mentioned, the Staffordshire potters produced these wares specifically for their former colonies, even coming up with pattern names such as Canada, Columbia, New York, Niagara, St. Louis, etc, to entice them. Additionally, the potters cleverly targeted certain markets. For the prairie families out west, they incorporated corn, wheat and other grain motifs in patterns. Designs range from the unembellished to the unconventional, and definitely more varied than the ironstone that stayed in the U.K. Covered tureens and sugar bowls produced by the Staffordshire potters vary from plain to fanciful. Popular lid finials include gourds, rings, pods, loops, flower buds, crowns, nuts, and fruit. Turn it over to find the maker's mark either transfer printed, impressed or both. If there is a diamond-shaped registry mark, the item was made between 1842 - 83. How to start a collection? Pick a pattern such as the wheat shown above. Or, focus on a particular shape like these angular ones. Perhaps start a group of pitchers? 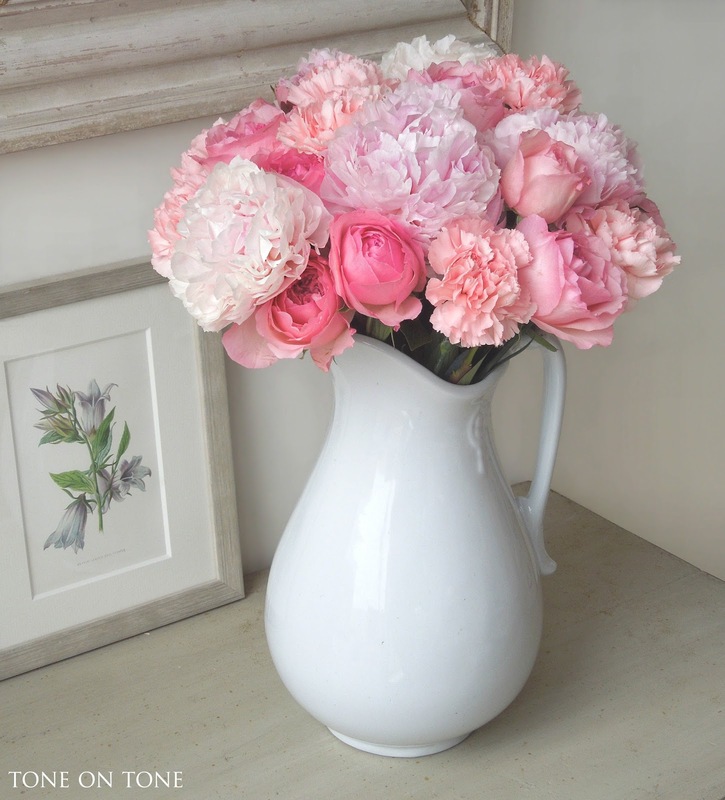 They are extremely popular for flowers, and understandably so. Their simple form allows any arrangement to shine. Look how pretty the pink peonies, carnations and roses are in this classic-shaped ewer - so effortless, too! BELOW: A tall ewer in an early Sydenham pattern with its distinctive Gothic style arches. Shifting to Continental European pieces, notice the color is creamier on this unusual watering can with stainless steel trim. 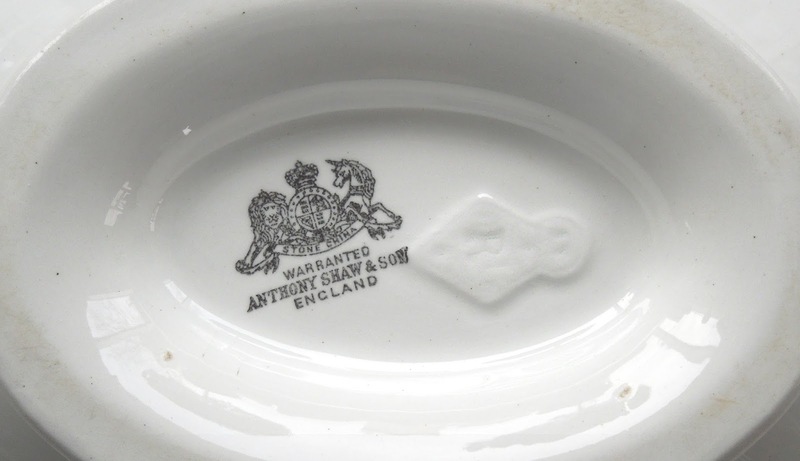 Compare it to the Staffordshire leaf dish (made for relish). 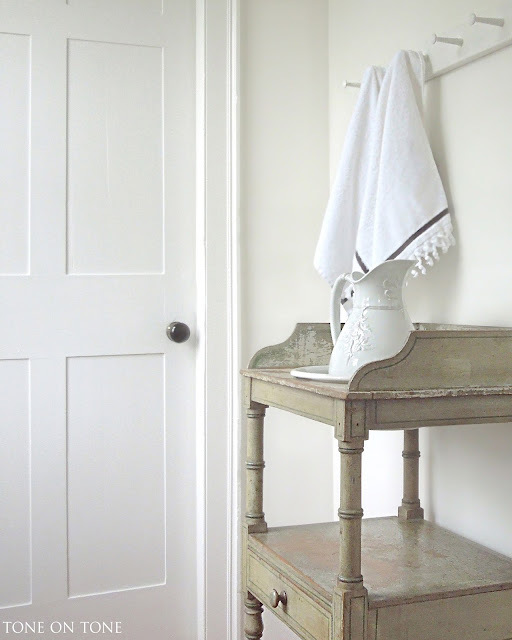 Also the tall jug, banded bath and graduated compotes (below) are all a warmer white. 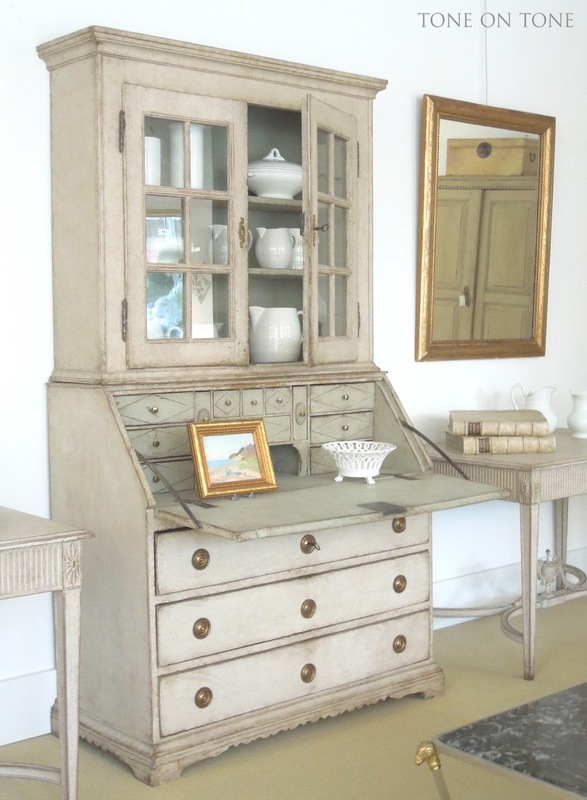 Instead of the expected books in this Swedish Gustavian secretary from the 1790s, I've tossed in jugs, tureens and vessels for a casual look that's less predictable. Notice the china is unified by their rounded form. 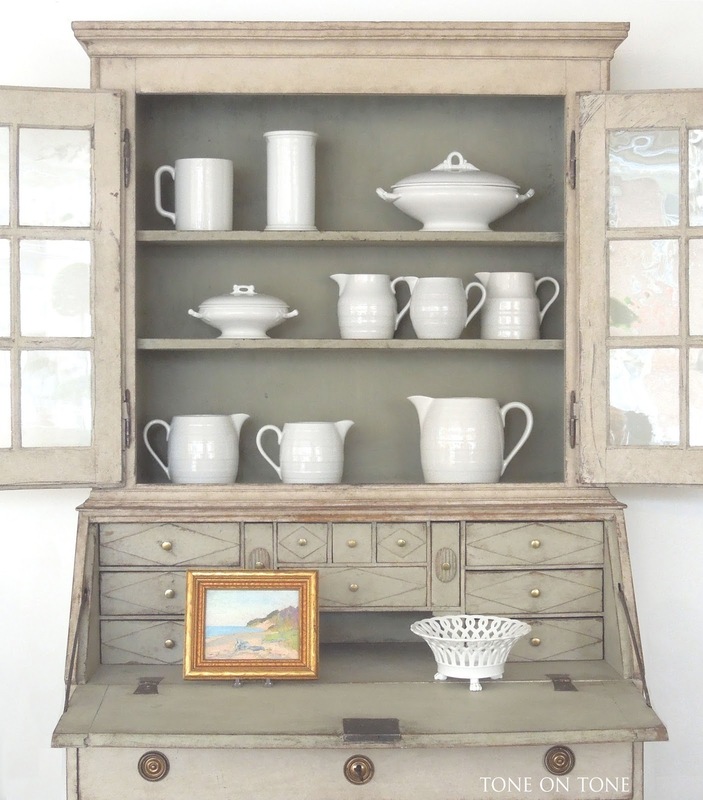 White ironstone mixes beautifully with Swedish antiques. Another rarity: a Belgian inkwell made by Boch. It sits on Swedish chest with a drop-top first drawer fitted with mini drawers for jewelry. 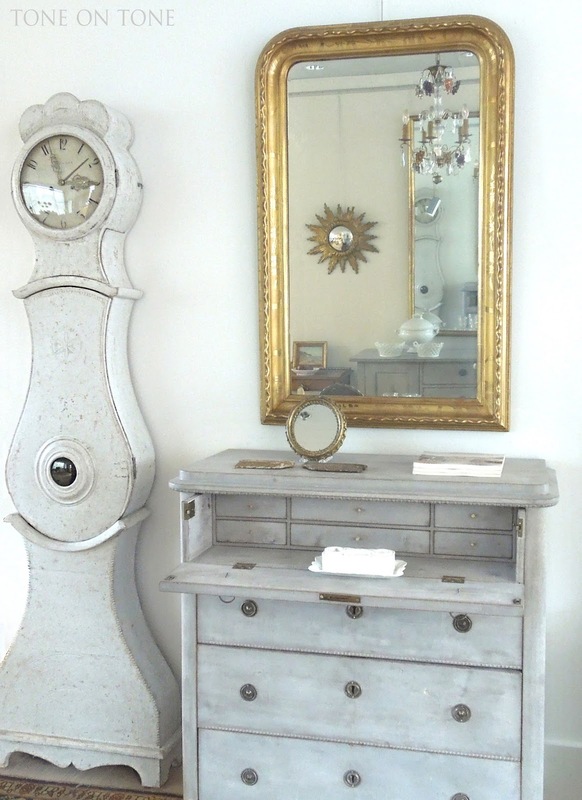 Next to the chest is a curvilinear clock from Mora, Sweden. I hope you've enjoyed the ironstone tour at the shop. Now let's head to Maine to check out my personal collection there. 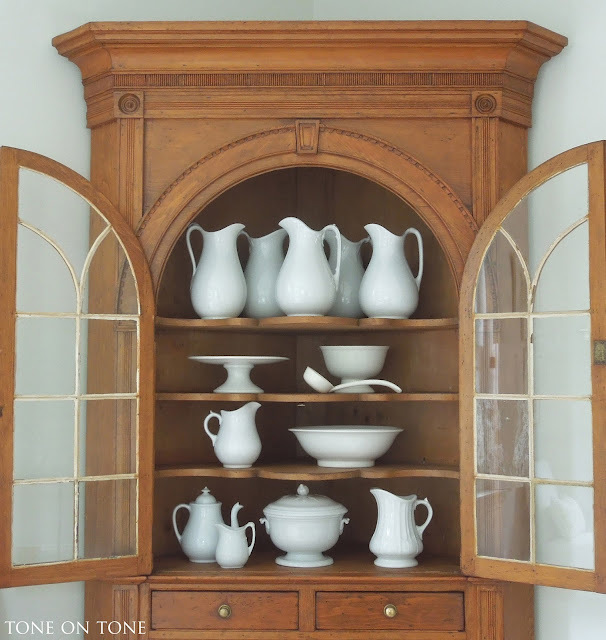 Our 1804 home in Castine would have once housed a sizable inventory of ironstone that serviced the kitchen, dining, bed and bath rooms. 19th Century Maine had many bustling seaports and coastal Castine, with one of the deepest harbors, attracted a myriad of cargo ships from abroad. So vast quantities of ironstone would've passed through our merchant town at the height of the trade. 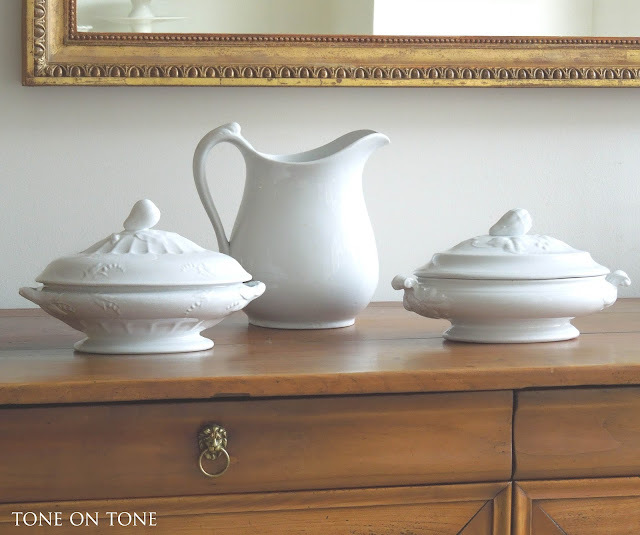 When it came time to accessorizing, I actively combed the local antiques stores in search of this china for aesthetic as well as cultural reasons. 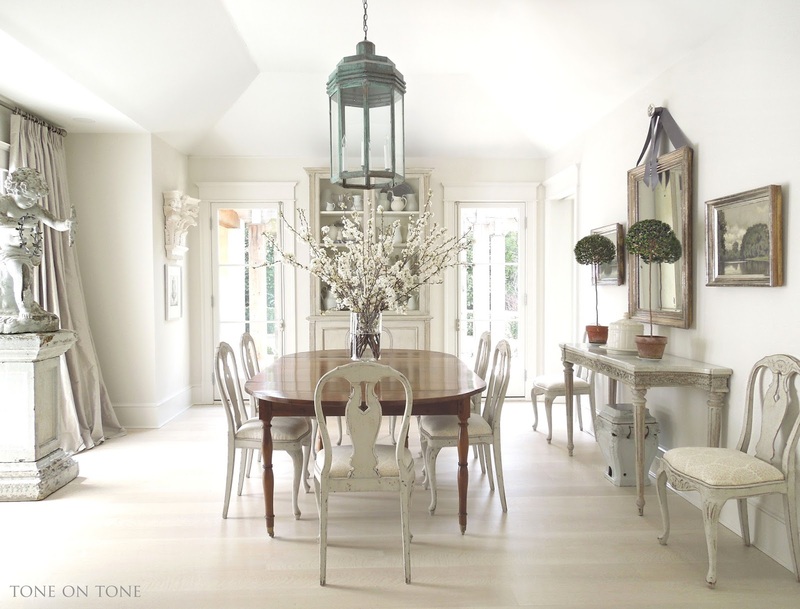 Our home is graced with a formal dining room complete with 10' ceiling and an oversized fireplace. 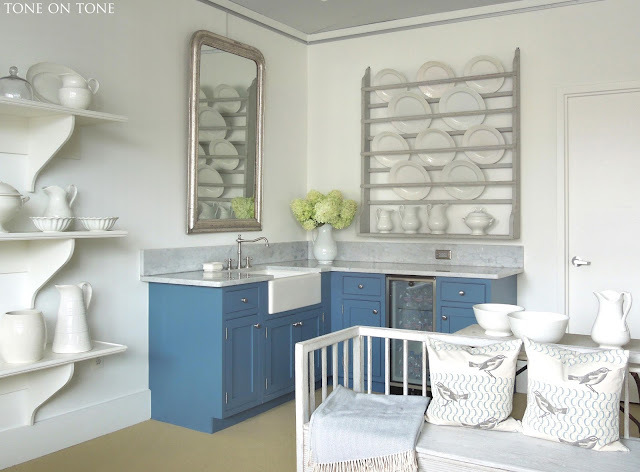 But, with a set of slipcovered chairs, whitewashed table, stripped pine cupboard, sisal rug and grouping of ironstone, that room went from serious to summery. 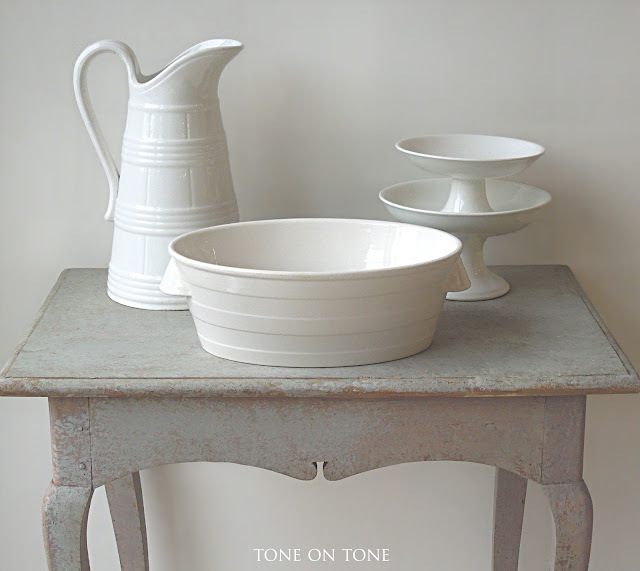 A gathering of white ironstone fills our Ca. 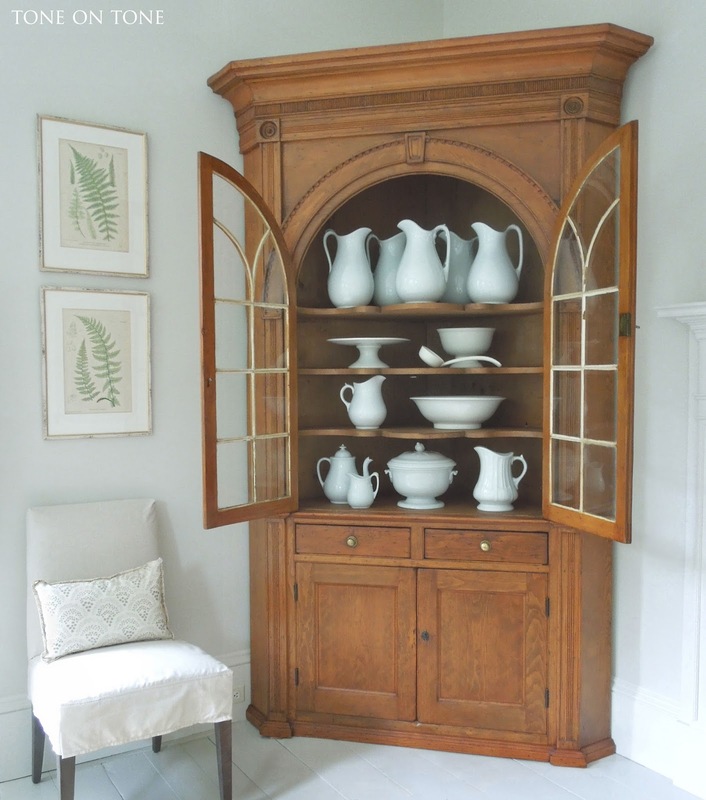 1790s pine corner cabinet with casual charm. Note the scarce toddy bowl (center of bottom shelf) made for hot toddy - a drink with boiling water, liquor, honey as well as spices. 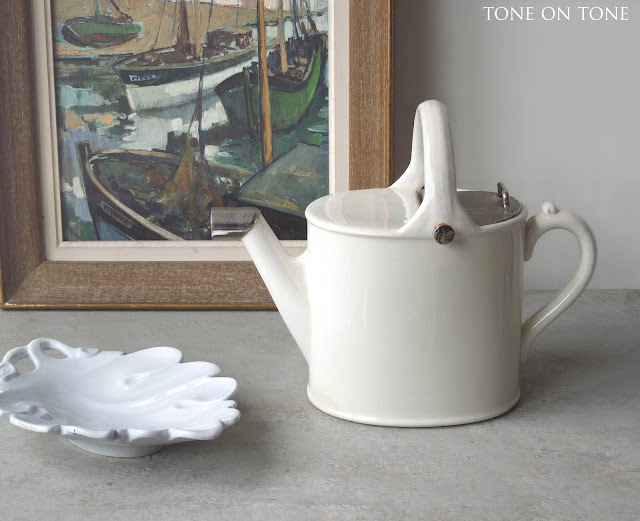 Toddy bowls resemble punch bowls, except the former have lids to keep the beverages toasty plus handles for safely transporting such hot contents. All lined up for their seasonal cleaning. 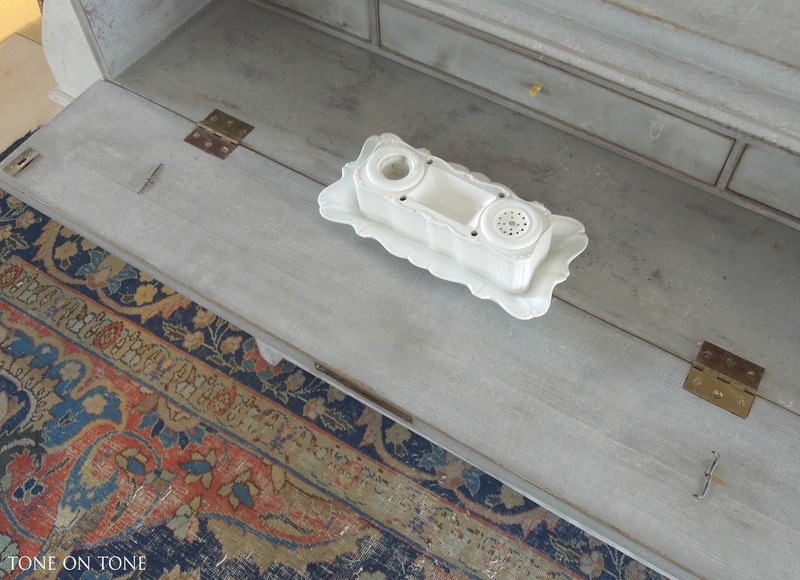 Next to the toddy bowl is a showy covered slop jar that was once part of a chamber set. Speaking of a chamber set, an English Regency washstand in our guestbath holds an ewer and basin, also from such a set. The pattern is Fuchsia. More from Maine very soon. An additional item from a chamber set is the massive footbath. 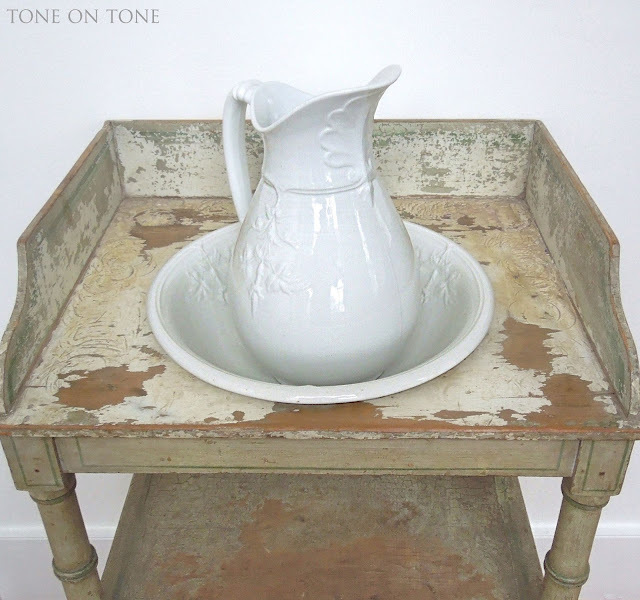 Each one measures about 20" wide x 14" deep x 10" high, making it the king of ironstone. 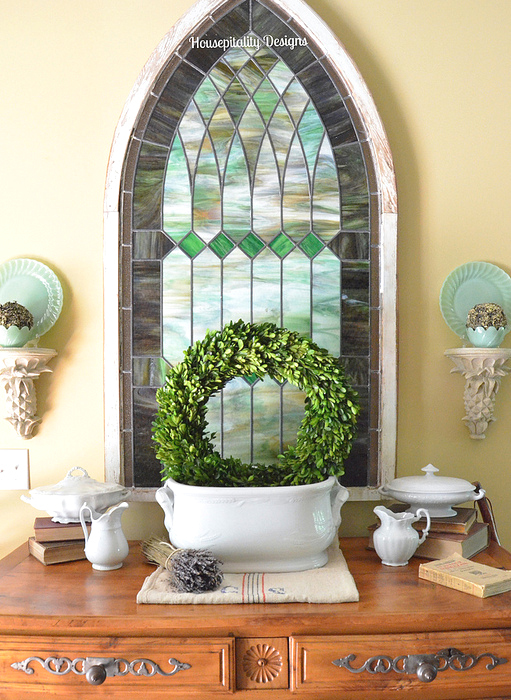 The next two photos belong to my good friend Shirley who blogs at Hospitality Designs. She recently scored this English footbath in a wheat pattern. My jaw dropped when she first shared it - stunning! Please pop over to Shirley's site to check out her gracious, beautiful home accented with ironstone. Below is a banded footbath that sold at our shop. 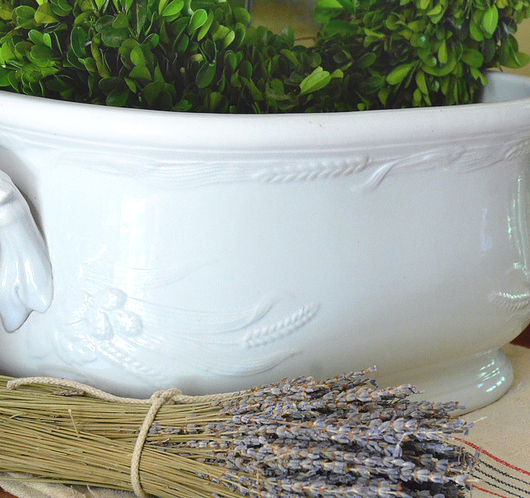 Footbaths make fabulous cachepots for plants as well as holders for magazines, etc. 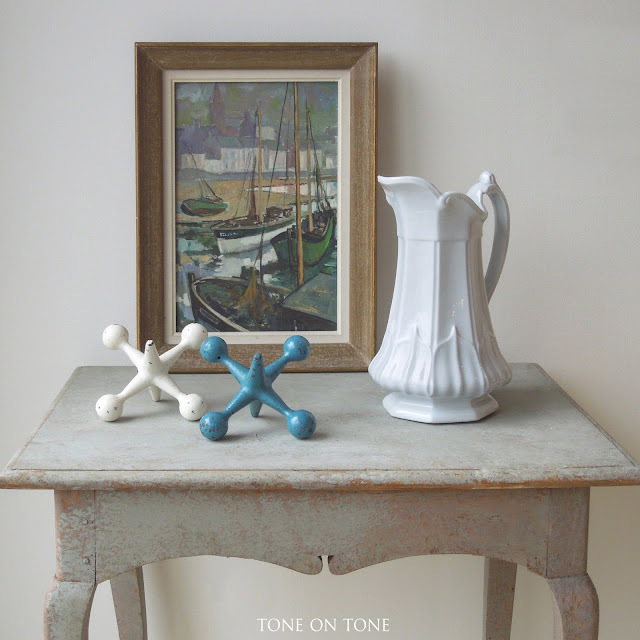 Two additional photos of former pieces at Tone on Tone. 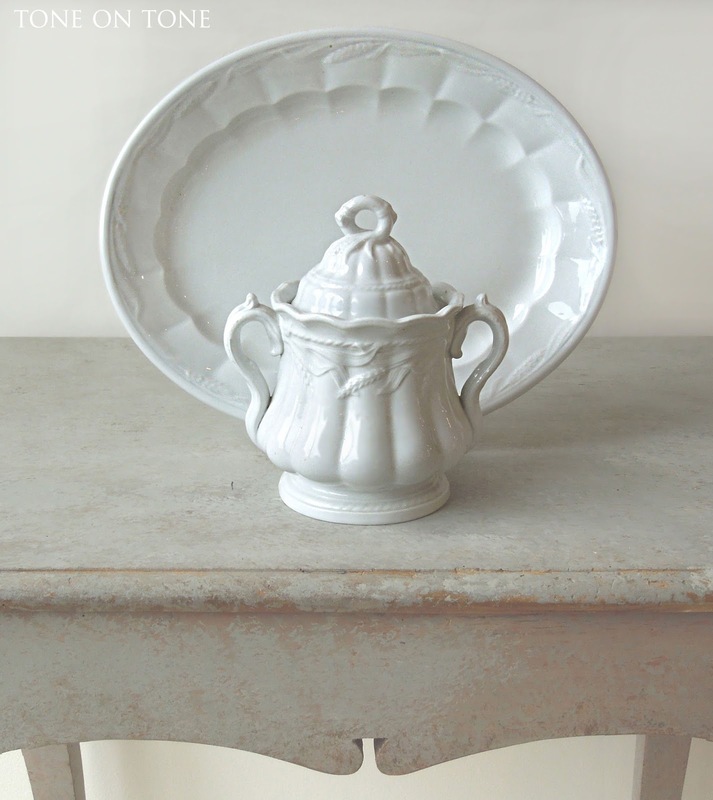 We perceive that this plain ware had little cultural or historical significance to English ceramic records. 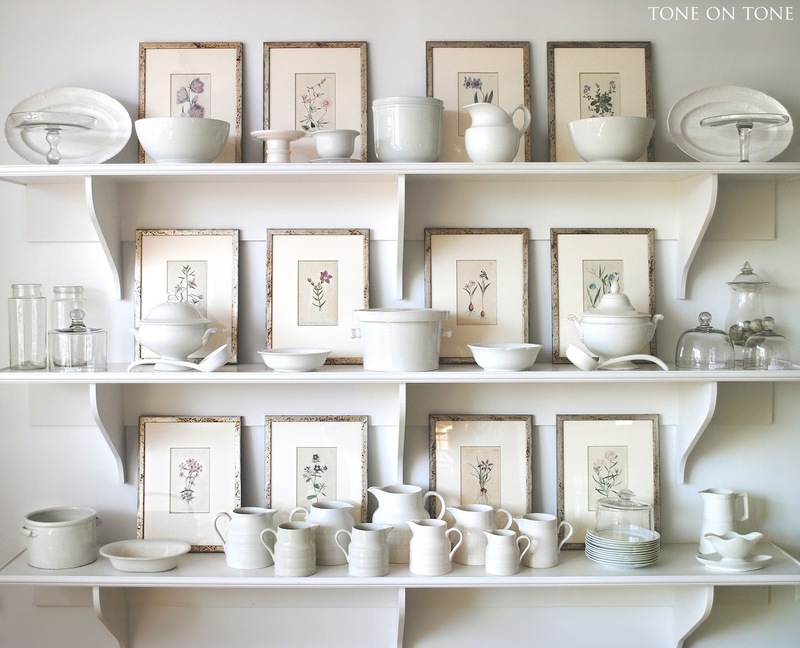 In America, this white china was important to daily life. The early colonists were so busy wresting a living from the land and clearing their acres that, except for the wealthy gentry, there was little time to be concerned with elegant table services. When the potters from Staffordshire began to offer less expensive wares, the American housewife was a hungry customer. 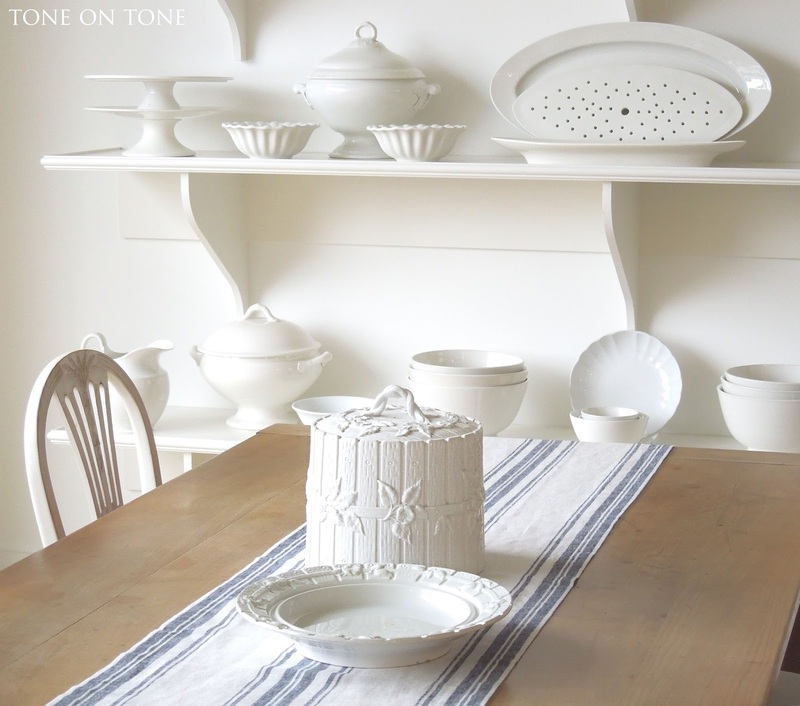 Even the poorest of rural families gladly put away their wooden trenches and redware to set their tables in spotless white.